Quality rest and relaxation is important, too. This past Saturday was my last day off until mid-April. My work schedule is now 8am to 6pm (at least) Monday through Thursday, Friday and Saturday 8am to 5pm (back to 40 hours April 17th). I wonder if American Society has declared war on work. When's the last time we saw a TV commercial promoting a good work ethic? If we didn't have work, we would have nothing. In this interdependent world we live in, everything we have is due to someone working, including the computer I'm using, the electricity that makes the computer and the lights work, the clothes I'm wearing, and the lunch I'm enjoying between sentences. 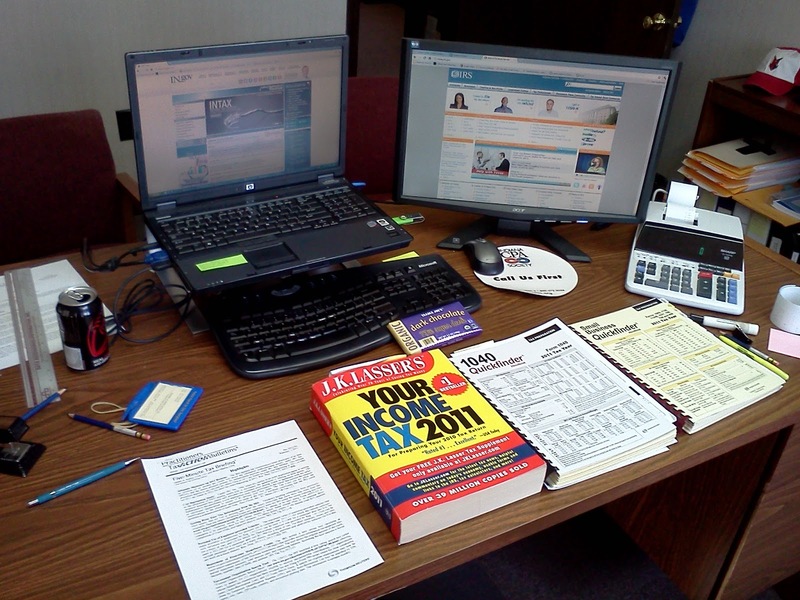 Helping people navigate the American tax code maze is a valuable service. For example, I saved someone $636 in taxes just by asking that client a simple question and listening to the answer. 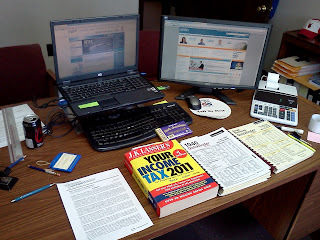 When I'm not doing taxes, I help small business owners keep track of their businesses through accounting services. Perhaps one of our biggest challenges in this entertainment age is to esteem work and effort in its proper balance and pass that positive value along to our children. Work was a gift given to us, but a fallen world has made it difficult. Part of life is overcoming that difficulty. Excellent. And we need to pass this on to our kids as well! Thank you again for working so hard. I love you. We've been talking about imparting the work ethic to our children... wishing we had more physical jobs around the house for them. At least lawn mowing season has returned here in so-cal. You are so right...and the helping thing, YES indeed!! We did our own taxes until about 6 years ago, when my sis in law challenged us. She told hubby to figure out what he thought it would be, then give her the papers and she would re do it...she found $1000 more we would get BACK...been giving the work to her ever since!